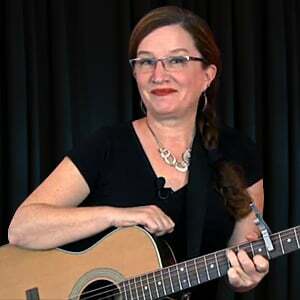 In this lesson, you'll learn how to make the B major chord. We'll also talk about how to strum this chord, plus, learn some insider tips on how to get your very best tone. Here's another chord that can be hard to get great sound out of right off the bat. Part of the reason for that is that a 'true' B Major chord should be played as a barre chord on the guitar. We have not gotten to that skill yet. So this 'hybrid' B Major chord is a bit of a compromise, sound-wise, but you will likely encounter songs that include a B chord in the future, and you should at least have this in your bag of tricks as an option.